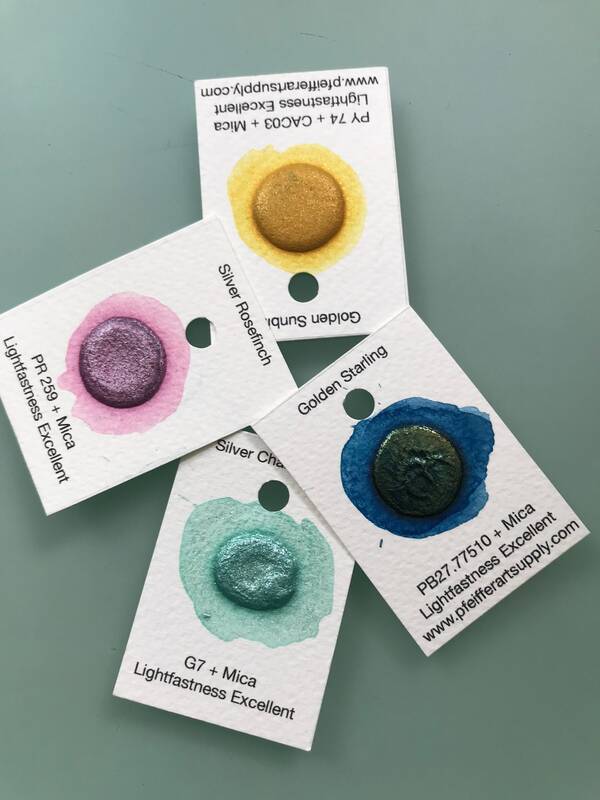 This is our 4 sparkly watercolor paint set with. 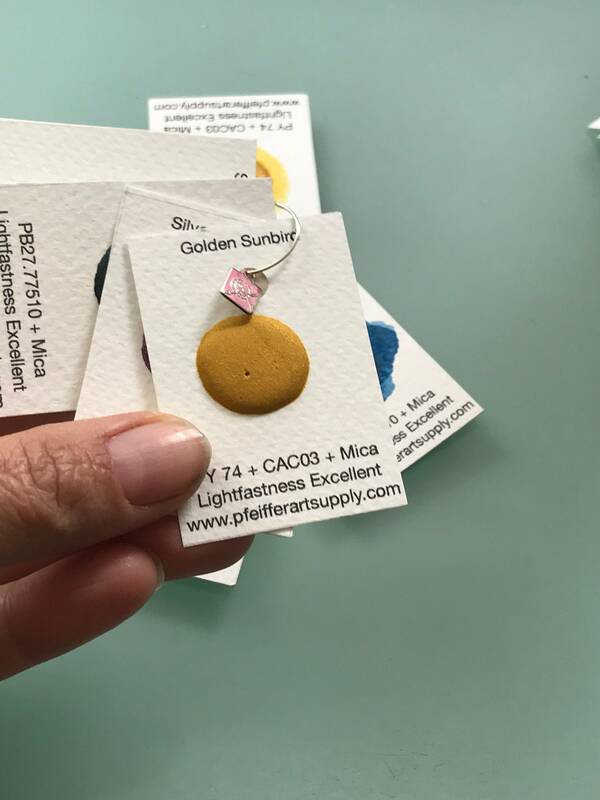 These watercolor Dot Cards are all made by hand with our non toxic watercolor paints. Comes on a wire ring and our little logo pendant. Exactly as pictured and advertised in the ad.